Brazil international Fabinho endured a slow start to his career at Liverpool, with the 25-year-old having to wait patiently for his chance after a £44million switch from Monaco. That slow start ended up helping the versatile midfielder settle in properly before being exposed to the demands of Premier League football, and ensured he was ready to take on that challenge when it came. Fabinho is now a key first-team player for Klopp, with the Brazilian starting the vast majority of the Reds’ matches since mid-October. 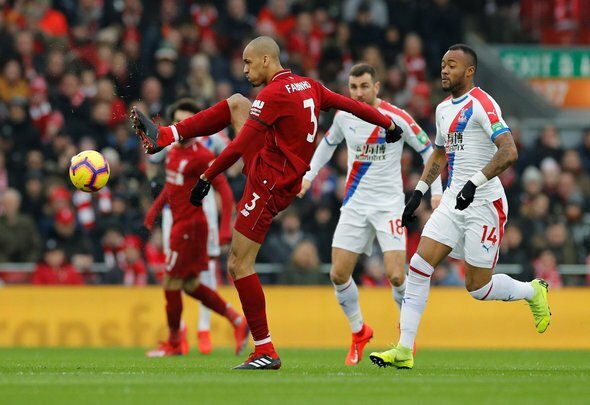 One of the key aspects of his play is his versatility, with Fabinho able to play comfortably as a central midfielder, centre-back and right-back. The 25-year-old is however yet to be called upon to play on the right side of defence, with Klopp having several other options in that position. Injury concerns have now left them short in that position though, and with a Premier League clash against Leicester set for Wednesday night, it looks like Fabinho will finally be deployed there for the Reds. Trent Alexander-Arnold and Joe Gomez are both missing through injury, while James Milner will serve a suspension, and youngster Rafa Camacho is likely not quite ready. Klopp could well spring a surprise and play Camacho, but the likeliest option at the moment is him playing Fabinho there for the very first time this season. Fabinho actually played at right-back many times for former club Monaco, and the £100,000-a-week star [Spotrac] will be ready to give his all there for Liverpool as well. And, should he put in a good performance there on Wednesday, then the Brazilian will have proved his worth beyond any doubt, with the 25-year-old able to perform in three key positions. There are very few players in world football who can do so at the highest level, and a good performance on Wednesday puts Fabinho amongst that elite number.